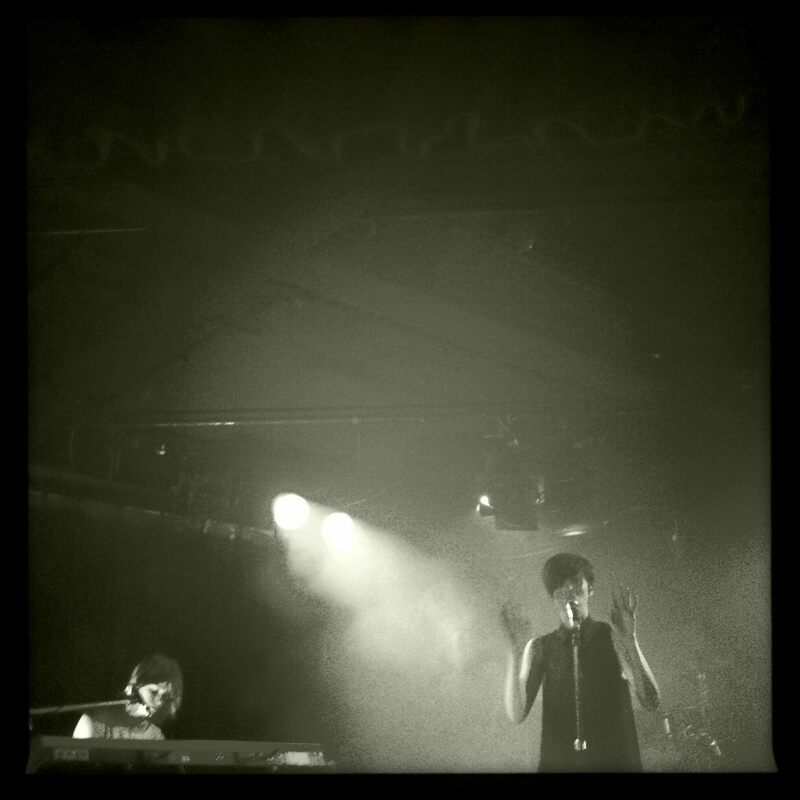 I have been lucky enough to spend both of the last two nights at a Jezabels gig. And let me tell you, it’s hard to think of anywhere I would rather have been. There aren’t many Australian bands who would get me along to two shows in two nights, but I have no regrets whatsoever in this case, and each night was truly and completely wonderful. While there were certainly differences between the two nights, I don’t think these were stark enough to warrant two separate reviews, so I’ll do my best to sum up both nights in the one post. I didn’t catch much of the support acts either night unfortunately. I did see some of Ernest Ellis on Thursday night, but I was left deeply confused by the dense and heavy sound emanating from a full band, when the last time I saw him it was just the man and an acoustic guitar. Regardless, it was a very enjoyable couple of songs, and I probably prefer his band setup to his acoustic show (unless that was just a figment of my imagination, because he really did seem like a different artist with the band). He/they played very tense and atmospheric music that thrived on the charged energy of the packed Corner Hotel crowd, who were eagerly anticipating the arrival of The Jezabels. It was pretty cool stuff. While the sold out and enthusiastic crowd was impressively respectful during the opening acts both nights, the wait until the arrival of the headliners saw everyone grow steadily more restless. But the moment the curtains parted to reveal the four band members already on stage, nothing else in the world mattered except for what was inside the Corner Hotel. 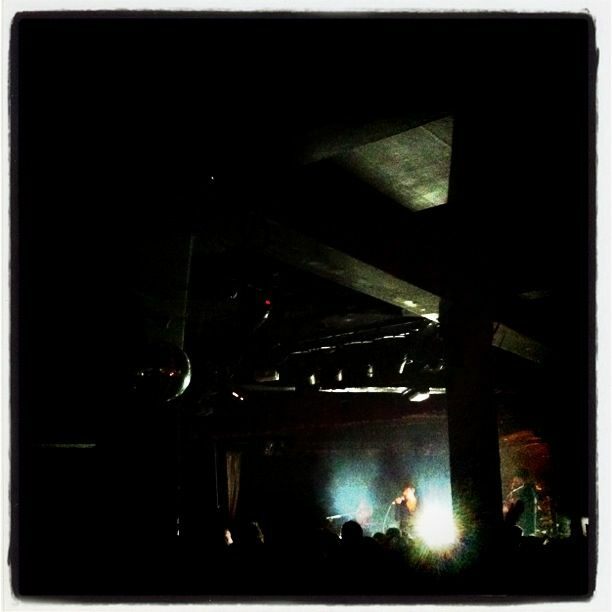 The Jezabels had arrived. 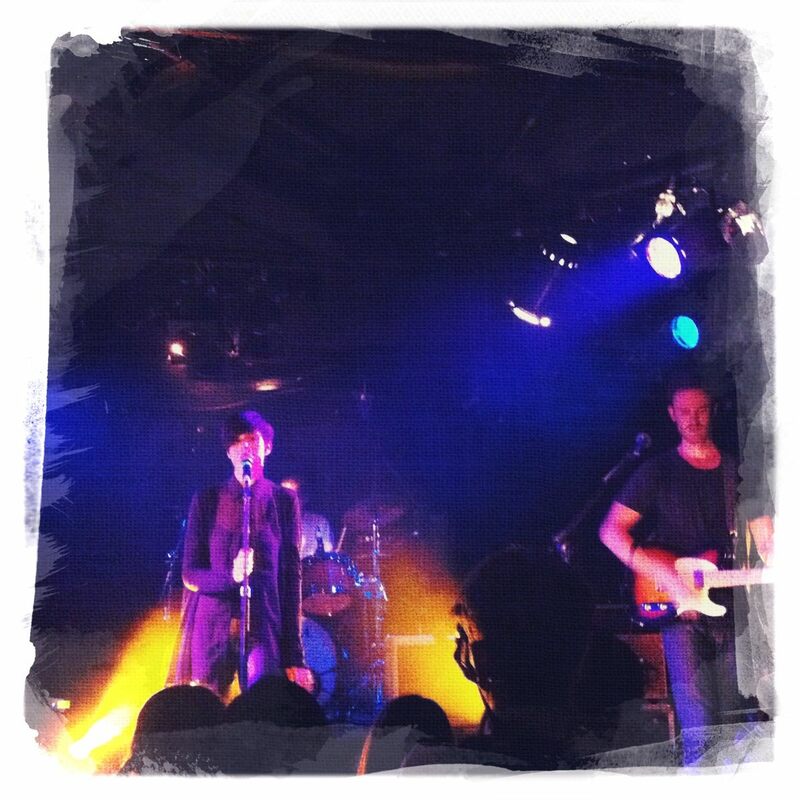 They began with a very short instrumental track by means of an introduction, and it was the perfect introduction to the power of The Jezabels’ live show. They produce a sound that seems like it should be coming from eight instruments, not three: the intensity and brooding nature of their music can be goosebumps-inducing. 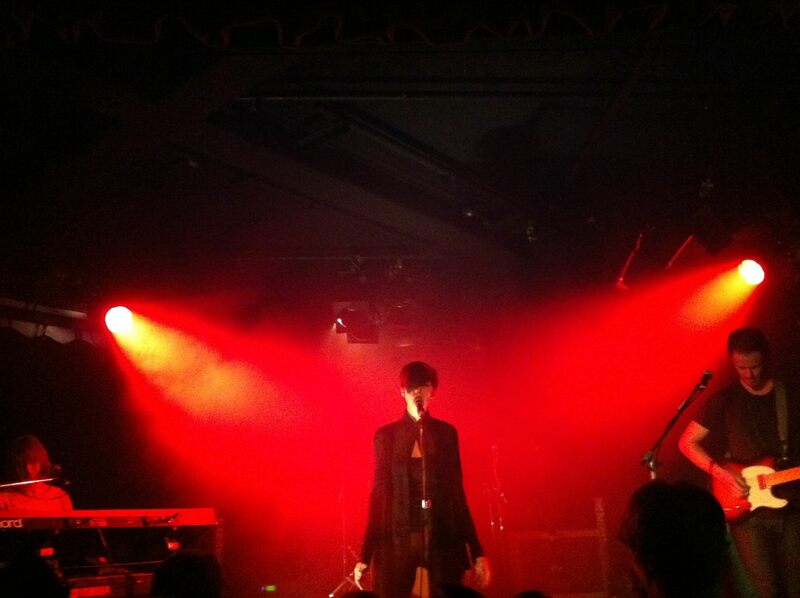 There are few bands in the world that do music like The Jezabels do as well as The Jezabels. And I don’t say that lightly. While the guitar, keyboard, and keys took center stage for the beginning of the show, it was soon time for lead singer Hayley to shine. And she is easily the most captivating front woman I have ever seen. Be A Star was her first chance to sing on Wednesday night, however the song was a very noticeable absentee from Thursday night’s set. It goes without saying that it was a brilliant start to the first gig, and gave the crowd an excuse to get moving around, not that anyone really needed one. Easy To Love was thankfully played both nights, and it was simply mesmerising. The way it starts with a stripped back sound dominated by Hayley’s powerful singing then effortlessly builds to a euphoric climax before dying back down again… ah, heaven. “And you were the one who thought it was funny that half of the world had never seen money” was sung as much by the crowd as it was by the band, which is unsurprising given that it captures the morbid ridiculousness of the world we live in so eloquently. “When you get your groove on, I go blind”. A Little Piece provided the first taste of The Jezabels’ latest EP ‘Dark Storm’, which has exposed them to a much larger audience than their earlier records. Thankfully however this was not reflected in a single-minded crowd intent on hearing only the band’s newer songs. Instead it was an awesome crowd full of people who just wanted to get into the music and who clearly had an encyclopedic knowledge of the backcatalogue of The Jezabels, not to mention their lyrics. Both nights had wonderful crowds, and it was a thrill to be a part of them. My favourite Jezabels song, Disco Biscuit Love, was a euphoric experience. I just lost myself in that song, doing otherwise would have been impossible. It was one of those rare moments where you just don’t care about anything else in the world, or indeed about how ridiculous you may look to anyone else. The beauty however was that everyone else was doing the exact same thing. The song passed in a wonderful blur of swaying and dancing and singing. The natural chemistry between the band was stunning. They were perfectly attuned to one another at all times, despite minimal mucking around between songs. Everything seemed carefully choreographed, but yet it also somehow had a feeling of spontaneity and a sense of being special. Meanwhile Hayley’s dancing was at all times awe-inspiring, while Sam, Nik, and Heather remained thoroughly more stationary (unsurprising given that two of them were sitting down at their instruments), but yet were also captivating and intense performers in their own rights. The Jezabels played one or two new songs throughout the night, and if they are anything to go by then the band have plenty of great songs in the pipeline for future releases. It was one of their older songs that received probably the biggest response from the crowd however, Hurt Me. The first few lines were sung and screamed from the crowd, as our sound temporarily drowned out the band. It’s just such a dark and powerful song, with a galloping drumbeat that underpins the entire track, relentlessly driving it forwards to the chorus of “Come on Abel, hurt me, hurt me, hurt me”. 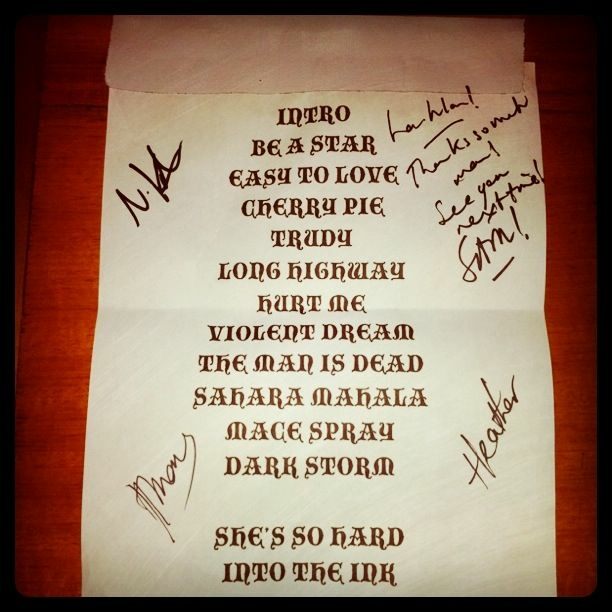 The end of both shows saw a run of songs from the band’s latest EP, ‘Dark Storm’. While at first I didn’t think it lived up to their first two EPs, it has definitely grown on me exponentially, and I was delighted that the band opted to play every song from the recording seeing as there is not a single weak track on it. Sahara Mahala was probably the pick of the bunch for me personally (at least for the main set), however at a Jezabels show you don’t really pay too much attention to how much you enjoy individual songs- instead you are just caught up in the grandeur of the show as a whole, and their songs flow perfectly into each other anyway, each of them drawing on and adding to the atmosphere created by the last. For the most part throughout both nights the band mostly let their music do the talking, but what banter there was always seemed genuine and went down very well with the crowd. Mace Spray and Dark Storm were fantastic ways to end the main set of both shows, but there was no doubting that they left the crowd wanting more. “She keeps mace spray, for you can’t rely on the common man”. As quickly as they left the stage the band were back. It was the first time I had seen them do an encore, and while I kind of liked the thought that they were above the somewhat drawn-out and predictable process, you can certainly understand the use of an encore to break up the set slightly and to end the gig on a positive note rather than have everyone slightly disappointed at the lack of those elusive extra couple of songs. At the time of course I wasn’t thinking about any of that crap, because I was too busy losing myself in She’s So Hard, my favourite song from ‘Dark Storm’. How can anyone not love a song that begins with the line “I’ll got out, steal birthday cakes from babyfaced”? It is an incredibly emotional, restrained, and powerful song. It is also the name of The Jezabels’ first EP, bringing their current catalogue of releases back full circle rather nicely. It was a sublime experience to hear it live, and it held the entire venue in a trance for the duration. Into The Ink was an interesting choice for a final song, but more than anything it gave both the band and the crowd a chance to let loose, especially after the pent-up emotion of the preceding song. It got everyone dancing and moving around, singing along with the chorus with our hands raised towards the illuminated ceiling and our eyes firmly fixed on the four figures on stage. The gig was over far too soon, and felt like it had passed in record time, itself a testament to the quality of the performance. 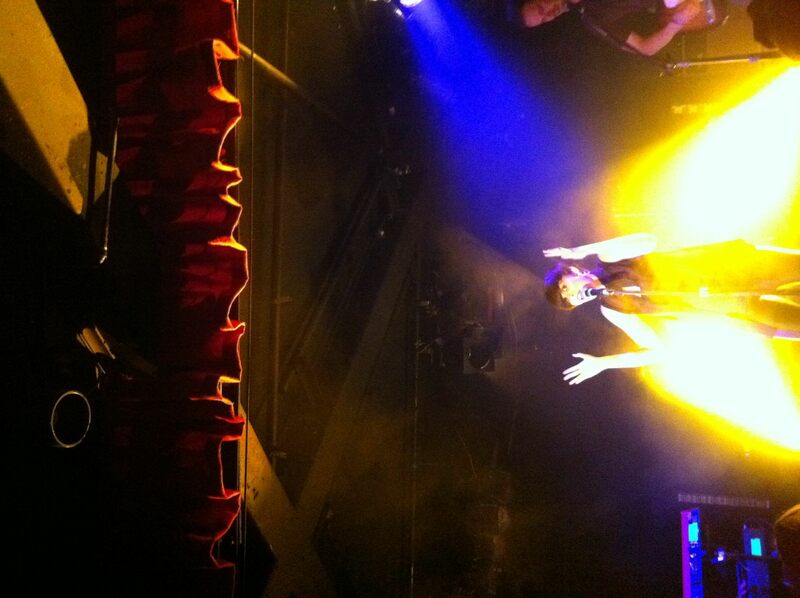 Both nights had seen faultless and magical performances from The Jezabels. I was left in no doubt whatsoever: this is the best band in Australia. Like few other bands do, The Jezabels hung around at the merch desk after both shows, chatting to everyone who wanted to meet them (which, let’s face it, was everyone) and signing autographs. I chatted to them briefly on the first night and was embarrassingly thrilled when Sam recognised me after Thursday’s show. They were as gracious and friendly as you could possible want, and they thoroughly deserve the enormous amount of success they are beginning to find. After Thursday night’s show Heather asked me which night I preferred, and I honestly didn’t know how to answer. For starters, I had been situated very differently for both shows: front and center for Thursday night and towards the back for Wednesday. But more than this, it seemed like the gigs almost defied comparison. They were both so utterly spectacular that saying something was better than either one of them seemed almost sacrilegious. In reality though I just offered a cop out answer, like I’m doing now. 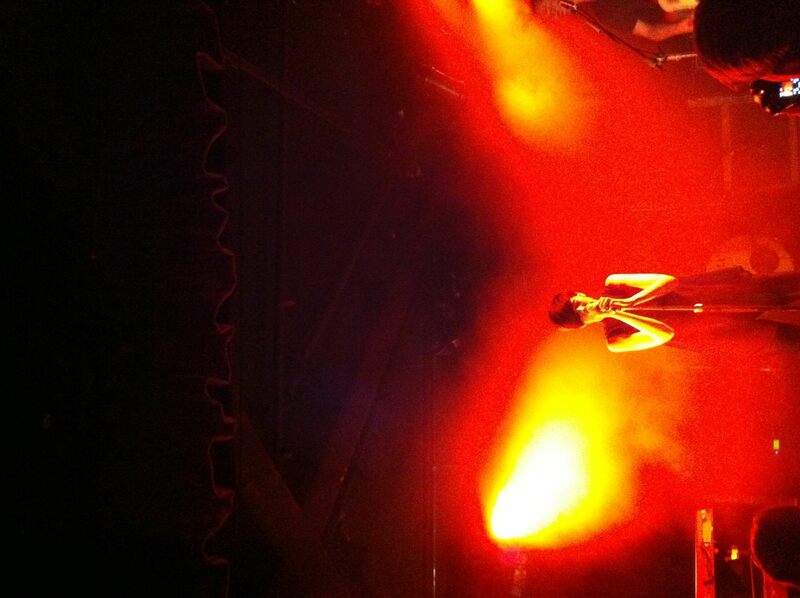 I still remember the very first time I saw The Jezabels live, and at the time I thought it set an impossibly high standard for future performances. But I was wrong. The Jezabels are constantly outdoing themselves in their live performances, and they are only growing stronger and more confident over time. I’ve seen them six times now I believe, and each and every single time was spectacular in its own right. It almost goes without saying, but the band have an absurd amount of incredible songs considering their relative youth. Part of me is dreading which fan favourites will inevitably be dropped from regular gig rotation when they have released more material, but yet in a way this only makes hearing all these songs now all the more special. I actually feel somewhat sad knowing that these two gigs are over. At a time when I seem to be growing somewhat sick of seeing bands live who I’ve already seen more than a few times, I will never tire of The Jezabels gigs. Going to each and every one of their Melbourne shows seems like a good plan right now, and I actually think I’m pretty much on track so far. If you’ve followed my posts for a while you may be growing sick of me constantly raving about The Jezabels gigs like they’re one of the most incredible things ever. But the reality is that they kind of are. Amazing review, I recognize you from the photo haha, I took a photo with the band after you on the Thursday. Amazing show wasnt it? Im seeing them again at Groovin the Moo in Bendigo, are you going? Thanks Shadie :) It really was a fantastic show, I was still buzzing for days afterwards. Unfortunately I’m not going to Groovin’ The Moo this year, although I will definitely be seeing them at Splendour!